Once again, I found myself in the middle of another home remodeling project when a small problem arose and I learned something new in the process. This time the solution to the problem was cheap and simple: electrical outlet spacers. I ran into this unforeseen problem while installing new beadboard wainscoting in our kitchen and breakfast room. The electrical outlets were recessed after I installed the wainscoting and I wasn’t able to install the faceplate properly. It’s a seemingly obvious problem, but it’s one small thing that I hadn’t thought about when planning out the project. But if there wasn’t some sort of hiccup during the course of a home DIY project, I wouldn’t know what to do with myself. I discovered that the electrical outlet needed to be pushed forward, somehow, in order for it to become flush with the beadboard paneling. I could loosen the screws on the electrical outlet to bring it forward — but that would leave it loose and that wasn’t an option. I headed to the home improvement center in search of a product that would solve my little dilemma. I always assume that I’m not the first person to have the problem I’ve encountered. Therefore, I know that there will almost always be a product that will take care of my home remodeling problem. If there’s not a product, then I usually I find that a little improvisation and ingenuity will see me through. I had something in mind made of rubber or plastic — for fire and safety concerns. A UL listed product would be the way to go for peace of mind. 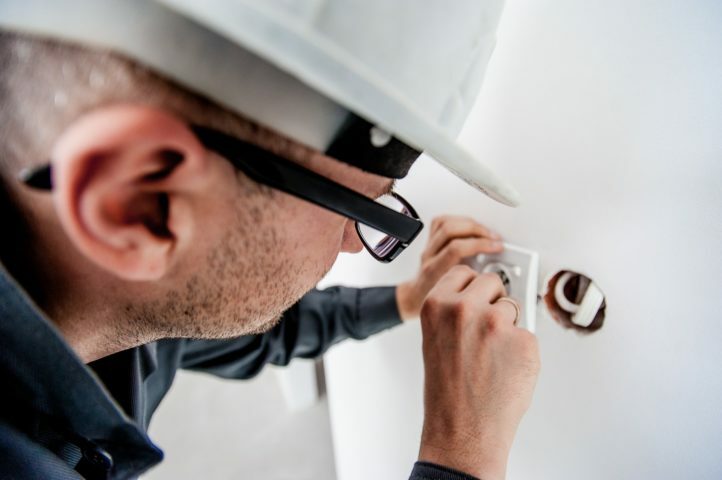 TIP: Be sure to cut the power to the receptacles at the breaker box prior to installing the spacers. You can do this with the power on, but you’ll need to know what to touch and what not to touch. 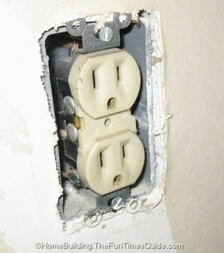 If you’re not 100% certain, cut the power at the breaker box. 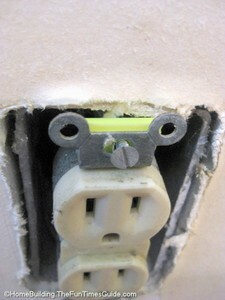 Loose receptacles could result in arcing. You want that professionally installed look. It’s the small details that make it all come together. They provide support for your outlets when plugging in devices. 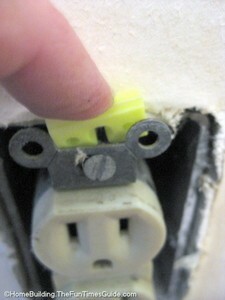 A receptacle that is not flush will result in cracked or broken faceplates. You may find yourself in violation of a building code if you leave your receptacles recessed. The electrical outlet spacers that I purchased are Made in the USA and UL listed. Those are 2 very good reasons to buy them. 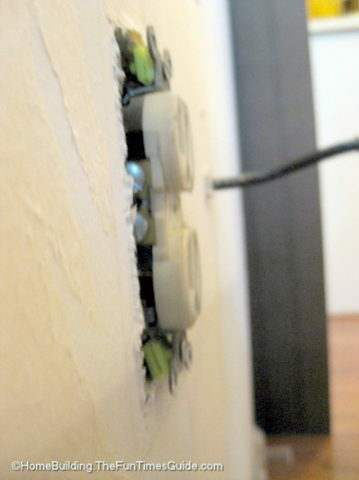 There are other brands and types of electrical outlet shims that work in an identical fashion. Just make sure that they are UL listed. Be sure not to touch the sides of the receptacle. You’ll get a nasty jolt if you haven’t disabled the electricity flow. What’s cool about this product (and a couple others I’ve seen) is that they can be piggy-backed (just like Legos) to any desired depth. If you’re installing stone, tile, or rock on your walls, you can put a few of them together to make it right.